Offer a draw and come back next week? Why wasn't this invented in Australia? The 2016 ANU Open ended in a tie for first between two local IM's, Andrew Brown and Junta Ikeda. The two players drew their round 5 game, leaving Brown holding a half point lead with two rounds to play. But a marathon draw in round 6 between Brown and third seed Soumya Thakurta allowed Ikeda to catch up, and with both players winning their last round games, 6/7 was enough for both players to share the prize money. In terms of countback, Brown's faster start worked in his favour, and as a result he collected the first place trophy for the 4th straight year. Thakurta drew with both tournament winners, but lost a further half point by taking a half point bye in round 4. Wenlin Yin scored 5/7 to pick up the Under 2000 prize, while Albert Winkelman (4.5), and Fred Litchfield (4) also ended up in the money. In the Under 1600 tournament Wayne Grinyer overtook Mitchell Jones with a win in their round 7 clash. In the previous round Jones had been the recipient of some spectacular luck when Lee Forace thought his sacrificial attack had miscarried, and chose to resign instead of executing a forced mate in 3. Jones took a share of second with evergreen Bill Egan, while Forace bounced back from his disappointment with a last round win to finish on 5. IM Andrew Brown leads the 2016 ANU Open after starting with 4 straight wins on day 1. Closely behind is IM Junta Ikeda, on 3.5, with a group of players a further half point back. Brown finished the day with a win over WIM Emma Guo, while Ikeda was held to a third round draw by Soumya Thakurta. Brown and Ikeda meet in tomorrow mornings round, with the result likely to determine the eventual tournament winner. In the Under 1600 event, Mark Patterson leads with 4/4. Mitchel Jones is on 3.5, and there are another 6 players on 3/4. The 2016 ACT teams Blitz ended in a tie between the Raging Readings and the Ikeda team. The Raging Readings were Jeremy and Michael Reading, while the Ikeda's were the pairing of Miona and JIM Junta Ikeda. The finished tied on 8/10, splitting their individual match 1-1. In third place were Stephen and Harry (Stephen Priest and Harry Press), with Stephen Priest scoring 5/5 on board 2 (as Junta Ikeda did on board 1). The Blitz event was a warmup for the ANU Open which begins today ast 10am at the ANU School of Art. Entries are still being accepted before the first round, so if you are in the area, roll up for an enjoyable weekend of chess. The 2016 ANU Chess Festival begins today (29 July 2016), with the 2016 ACT Teams Blitz event at King O'Malley's Bar in Canberra City. This event is for teams of 2 players and starts at 6pm. Entry is free, teams can be formed on the spot, and there is $250 in prizes. Tomorrow and Sunday (30/31 July) sees the ANU Open and Minor, at the ANU School of Art. This 7 round swiss has already attracted a number of strong players (IM's Ikeda, Brown and Jones), all fighting for the $1000 first prize. Then on Tuesday and Wednesday (2nd/3rd August) the ANU Schools Championship is being held at University House ANU. There will be live DGT coverage of the ANU Open over the weekend. Head over to http://tournaments.streetchess.net/anu2016/ to see the latest tournament results, plus games from the top 4 boards from 10 am tomorrow. The 103rd British Championship is underway, with a couple of rounds already completed. The field is pretty strong at the top (Adams, Howell, Jones) but then falls away after that, with less than a quarter of the 86 player field rated over 2300. One player in the above 2300 group is Australian player Justin Tan. Since the tournament reverted from being open to any Commonwealth players to being a UK& Ireland affair, there haven't been many players from the colonies, but Tan benefits from having dual Australian/UK citizenship. Given his recent excellent form, I expect him to do well in the event, and hopefully he can pick up another GM norm. According this report, the Armenian team will not be playing in the 2016 Olympiad hosted by Azerbaijan. This is of course due to the dispute between the two countries over Nagorno-Karabakh, and the boycott had been on the cards since the Olympiad was awarded to Baku in 2012. At the time the Armenian delegation protested the awarding of the Olympiad to Azerbaijan due to the conflict between the two countries, but as Baku was the only bid to meet the bidding criteria, there wasn't an alternative venue. Slightly more surprising is the suggestion that Greece won't be going either, although I have no idea the reasons why. Possibly the issue is a financial one as FIDE have included Greece on the list of countries receiving travel subsidies, but there may be other reasons at play. A recent gift has turned my mind to the topic of chess themed record covers. Probably the most obvious choice is "Chess" by Tim Rice, Benny Andersson and Bjorn Ulvaaeus, but there are others. Unfortunately my search was hamstrung by two issues. Firstly, searching for chess and music throws up and awful lot of links to "Chess Records", the Chicago based record label, that had Muddy Waters, Bo Diddley, Chick Chuck Berry and many others on their roster. Secondly, pretty much every other album I managed to find was almost always 1970's prog rock, with allusions to wizards and Alice in Wonderland (although I see Pink has recently travelled this road as well). But all was not lost. While researching this brief piece I came across a cover of a children's book (not a record) titled "Goodbye Testicles". And that made the whole exercise worth it. After 5 years of head to head chess, Magnus Carlsen has brought his lifetime score 'Classical' games against Anish Giri up to 1 each (with a bag load of draws). Having first played in 2011 (with a win to Giri), Carlsen has been unable to grab that revenge victory, until yesterday. In the 9th round of the Bilbao Masters, Carlsen opened with the London System, and although the opening did not seem the give him much, he did get some play on the kingside. Giri however defended his position, and Carlsen even missed a change to win material. But a mistake on move 37 by the out of form Giri gave Carlsen a second chance and he took it. The win also gave Carlsen an insurmountable lead in the tournament as unsurprisingly, the other two games were drawn. Tomorrow (22 July) is the cut off date for early entries for the 2016 ANU Open and Minor (Under 1600 event). The tournament is next weekend (30 and 31 July) and has over $3000 in prizes. Full details are available at http://vesus.org/festivals/2016-anu-chess-festival/ (click on the 'Regulation' link). NB You only need to register early to be eligible for the discount. You can still pay on the day, but as long as you enter by midnight tomorrow you get the $10 off your entry. There are plenty of weird and wonderful openings I have played, but there is also just as many I haven't tried. 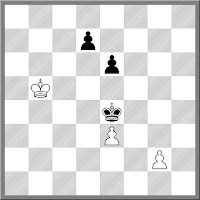 One opening I've never really looked at is the Chigorin Defence to the Queens Gambit (1.d4 d5 2.c4 Nc6). I was asked about it at the chess club tonight, and while confessing a limited knowledge of the main ideas, I still prattled on about it, not realising I was confusing it with the Nimzowisch Defence (1.e4 Nc6). To rectify this I had a quick search for an interesting/exciting game in the proper Chigorin. I discovered one originally presented in the book "Take my Rooks" by Minev and Seirawan. While probably not representative of a typical Chigorin, it does show that Black can get some nice attacking play, as long as he is willing to toss some material. One of the more fun events at the ANU Chess Festival is the ANU Co-op Bookshop Teams Blitz Event. Hosted by King O'Malley's pub at City Walk, Canberra City, it is now in its 4th year. It is a 5 round swiss for teams of 2 players, and this year will be held on the Friday 29th July. It starts at 6pm and will run for an hour. Entry is free and there is no restriction on the strength of the teams. Normally each of the Canberra clubs enters an official team, but other teams are more than welcome. You can enter in advanace by contacting me, or just rock up on the night. At the top level of chess, the draw quotient remains quite high, despite efforts of the organsiers to encourage decisive results. Certainly the prevalence of the very short 'Grandmaster draw' has declined over the years (at least amongst Grandmasters), but points between two evenly;y matched Super GM's still seem to be split. There are still the quick draws, with the players following some traditional drawing lines, and there are some exciting hard fought draws, where after 90 moves there are only kings left on the board. I'm sure organisers don't mind the latter as much as the former, even if the crosstable ends up looking the same. The following game from the Bilbao Masters seems to fall somewhere between the two. It is a short game ending in repetition, but it does have some exciting tactical points. White looks to be able to win material at various points, but doing so leads to big trouble. So White avoided the traps, Black checked on c2 and d4, and the players shook hands. A recent study has put a dent in the claim that playing chess makes you smarter. In a study involving 3000 primary school students, pupils were given 30 hours of chess instruction to see if it improved there math results. It turns out there was no significant difference between the students who received chess lessons and those who did not. However closer reading of the report on the study did throw up some interesting points. One is the observation that chess still helps develop existing ability, but does not bestow it. The second is that the majority of children enjoyed the experience. Of course this is just one study, and other studies have produced different results, but it shows that further work in the area of chess, schools and achievement is required. Carlsen chose a fairly unambitious Anti-Silcilian line, although Karjakin did not fall for the trick of taking the e pawn on move 4 (4... Nxe4?? 5 Qa4+). After some play on the queenside, the action shifted across the board and just as they approached time control, Carlsen broke through with a winning attack. Despite being touted as a potential World Champion, Hikaru Nakamura has had one obvious obstacle to this goal. Magnus Carlsen. He has an awful score against the current World Champion, failing to defeat him in the 30 games they have played at long time controls. This run included 12 losses, and was the most compelling evidence against Nakamru's title ambitions. But Nakamrua finally put a dent in this argument, by beating Carlsen in the first round of the Bilbao Masters. Carlsen played the middle game with a certain disregard forking safety, and it came back to bite him as Nakamura was able to exploit a pin down the g file to grab a big advantage. Even then there was a chance that Nakamura might throw it all away (as he has done in the past) but he kept up the pressure and Carlsen resigned when facing a forced checkmate. Vladimir Kramnik and Rainer Buhmann played an entertaining draw in the third round of the Sparkassen tournament in Dortmund last night. Kramnik decided to play for mate out of the opening, and proceeded to sacrifice a couple of minor pieces to try and achieve his aim. Buhmann defended quite well, beating off the attack and ending up with a piece for two pawns. However this was not going to be enough to win, as he only had one pawn of his own left, and after that went, a draw would be the likely outcome. Two big chess events are on at the moment, with one already running, and the other just starting. The Sparkassen tournament in Dortmund is 2 rounds in, with Ruslan Ponomariov and Maxime Vachier-Lagrave leading with 1.5/2. Also in the field are Vladimir Kramnik on 1, and Fabiano Caruana who has off to a slow start on 0.5. The Bilbao Masters is the other event, with Magnus Carlsen and Sergey Karjakin being the main players of interest. That's not to ignore Hikaru Nakamura, Wesley So, Anish Giri or Wei Yi, but the clash between the World Champion and his challenger is the headline story. Also of interest for this event are the slightly unusual tournament conditions. Time control is 40/90m+60m with a 10s increment from move 41, while it will be 3 points for a win, with 1 point for a draw. Also draw offers can only be accepted with the arbiters permission. It has taken over 18 months, but the Russia v Australia/New Zealand match has come to an end. The mammoth correspondence chess match was played over 120 boards, with 2 games per board. The final score was a pretty big victory to Russia, 190.5-48.5 (with 1 game annulled). You can see the crosstable at https://www.iccf.com/event?id=48494 and play through the games. The list of Aus/NZ players contains a mixture of strong CC players plus some well known OTB players. My own contribution was sadly two decisive losses, but Ryan Lane, Daniel Friere, Barry Mulligan, Marc Vliestra, Stephen Ferris, Ben McGinnes, Peter Maylott and Kevin Brown did win their individual matches. The event was organised by Brian Jones on behalf of the CCLA, and is one of the many International friendlies that the CCLA takes part in. Not all matches are this large of course, but if you are interested in taking part, new ones start reasonably frequently. Just visit www.ccla.net.au for further information. I had a fairly bizarre experience at Street Chess today. As some people may have realised, a new Pokemon game has been released, utilising phone based augmented reality. The purpose of the game is to use your phone to track pokemon, and then if you find them, catch them on the screen of your phone. As it is winter, Street Chess is currently being played indoors, but while the rounds were in progress, I did wander out into the cold. At various times I would have seen 20 or 30 people, gathered in small groups, all staring at their phones. They weren't saying much, just occasionally flicking the screen, before eventually moving on. This went on for most of the afternoon, and even when I left there were still plenty of people chasing pokemon. While the concept is clever, and it does get people out and about, it does look a bit of sci-fi. I was immediately reminded of the old TV series Quatermass, where young people fall under some kind of alien influence, leaving oldies (like myself) to save the world. Nonetheless even the young people at Street Chess were able to squeeze some games in between their hunting, including this quick win for Harry Press over Albert Winkelman. If you are looking to update your knowledge of opening traps, there is a new site that seems to have gone to a large amount of effort to put them all in one place. ChessTraps.net have over 1000 opening traps, all explained via short video. You can select them by ECO code, by name (if you know what they are called), or by level of difficulty. The other great thing about the site is that it is free, meaning no bothersome registration process. I've just dipped my little toe into the water, but have already found at least one interesting line in the Max Lange, the Maayan Trap. Hopefully there will be more sneakiness awaiting me. There are clever checkmates, elegant checkmates, and sometimes, dirty checkmates. This one falls into that category. This position is from a game I was watching last night. Black looks like he is doing well in this position, and in fact had even given up material to reach it. However he missed an fairly common idea which saves the day for White. Fortunately for him, White missed the idea as well, as I suspect his opponent was not familiar with it either. Instead of 1.Kc5?? Kxe3 2.Kd6 Kf4 which was played in the game, White could save half a point with 1.g4! Taking on e3 now lets the g pawn run, so Black eventually has to retreat the king to e5, saving the e pawn, and giving White enough time to get the king back into the game. The bane of any chess coach is the student who chooses bad moves on the basis that there is a threat or trick that their opponent might overlook. Of then this is due to that one game early in their chess career where they won because their opponent failed to spot an obvious threat, and from then on, this was going to be the path to victory. Having coached a number of students with this trait, it is often difficult to get them out of this habit. The obvious cure is putting them up against stronger players who do see the threats and then punishes the bad moves. However this 'cure' has a tendency to go to far, with a number of players losing interest in the game once the source of cheap wins dry up. Nonetheless it may be possible to catch a stronger opponent off guard. While researching this article I found possibly the most audacious example of 'he might not see it' in a game between Gary Kasparov and actor Woody Harrelson. Harrelson decided to see if Kasparov had previously seen the "Four Move Checkmate" by starting with 1.e4, 2.Qh5 and 3.Bc4. It turns out Kasparov had (assuming he did not discover a defence independently) but Harrelson at least proved he had a few more arrows in his quiver. He played the rest of the game fairly sensibly, and with the position even, Kasparov decided a draw was the correct result! No, not the Grand Chess Tour, but the 2016 Tour de France. I almost missed the start this year (due to coverage of the Australian election), and only a lull in punditory resulted in me channel surfing to SBS to see that it was one. So once again it will be later nights for me than normal, and probably grumpier days as well. If you want to follow the race, my two main sources are the SBS site and the Guardians coverage of the race. One nice thing about the Guardians coverage is their live blog of the stage, which you can reread at your leisure the following morning. 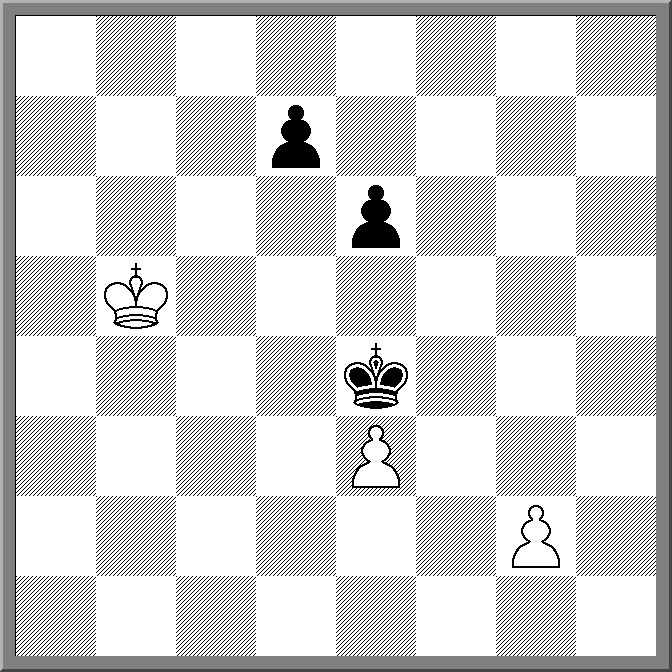 Australia had a general election yesterday, and as they say in chess, the position is unclear. When I went to bed late last night the conservative side had a slight edge, but when I awoke this morning, the Labor party seemed to have equalised. It seems that neither side will gain a necessary majority, and another election may be on the cards, albeit with a few pieces suffering from that rare fate (in chess anyway) of de-motion. Speaking of elections, I keep seeing a rumour that a palace coup is underway in FIDE against the current President. While the source of the rumour causes me to file it under "I'll believe it when I see it", given how the normal electoral process operates in FIDE, this may be the only mechanism that could change who heads FIDE, even if it did not change who runs it. "Think with your head, not with your hands" is a piece of advice I often give at junior chess events. Apart from the goal of getting young players to think better, it also designed to make my life easier as an arbiter. Most "touch move" disputes occur because a player has instinctively grabbed a piece, before deciding what to do with it. Then when the realisation that it was the wrong piece to move hits ("oops my queen is attacked"), all sorts of excuses and stories get told. So to avoid that, I do suggest thinking before moving would have helped the situation. Nonetheless even experienced players can fall into this trap. Often openings are played on 'auto pilot', when the moves just flow from the fingers. However if you aren't paying attention, you may miss the knock out blow. The game below finishes in disaster for Black. After 12.Bxf7+ Black has to surrender the rook as 12 ... Kxf7 loses to 13.Ng5+ and 14.Ne6 The culprit is 11. ... Re8?? but it seems this move has been played more than a few times in this position. Even more surprisingly White only found Bxf7+ in around 33% of the games (5 out of 15). In the other games White either played Bc2 or Nf1, both moves that have more to do with the hand than the head. I'm just linking straight to this story, as I have nothing further to add.